Do I need a car service? 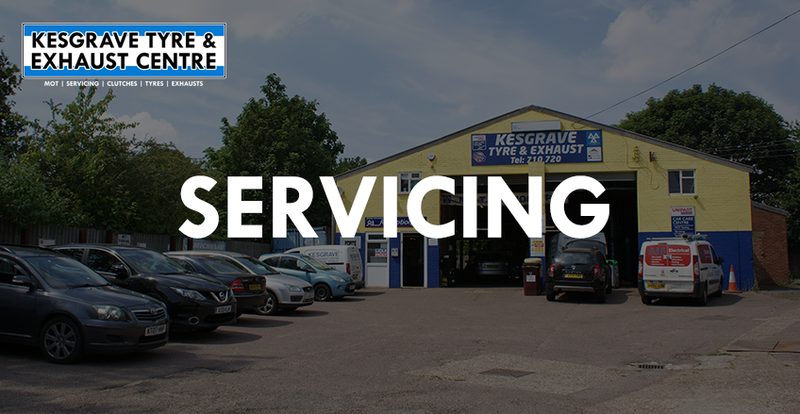 Whilst a service is not a legal requirement, we still highly recommend bringing your vehicle into our garage for one. Your manufacturer and your vehicle’s handbook will let you know what’s best for your car and when to get a service. In addition to this, having a complete and updated service history can keep the value of your vehicle. It’s not just boxes we want to tick, but helping you save money and stay safe on the road. By getting a regular service, you can keep a good eye on your vehicle and the major components that keep it running on a daily basis. Small faults can often go missed if they’re not examined and can cause major damage or expensive repairs further down the line. Therefore, we recommend a service at least once a year to keep your car running and to save you money. We're so confident in the quality of our parts that we offer a 12 month or 12,000 mile guarantee on every new part and the labour involved in fitting it. This means that should anything go wrong with the parts we've fitted, or the way we've fitted it during the guarantee period, we'll fix the problem at no extra charge. The cost of your car service depends on what’s needed. 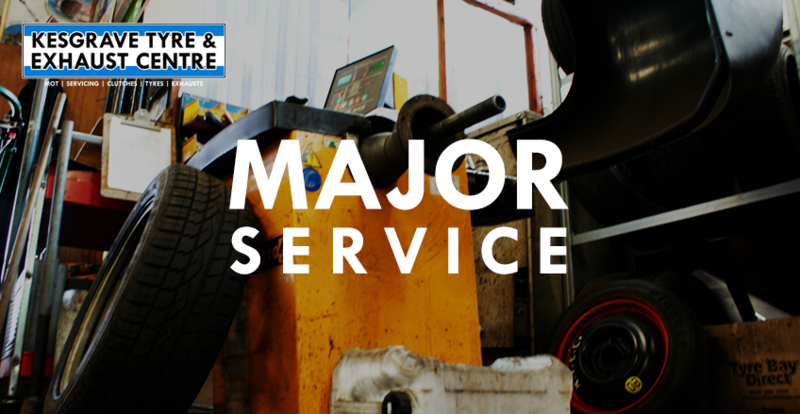 Whether you’re looking for a full, interim or major car service can affect the price of your service. What’s more, if you’ve not got an up to date service history it can mean that you’ll need a major service. When it comes to the price of your service, any additional repairs are not included so you’ll need to make sure you cater for them too. To check out our prices, use our online booking tool to not only see prices for each type of service but find advice on which service schedule is right for you. 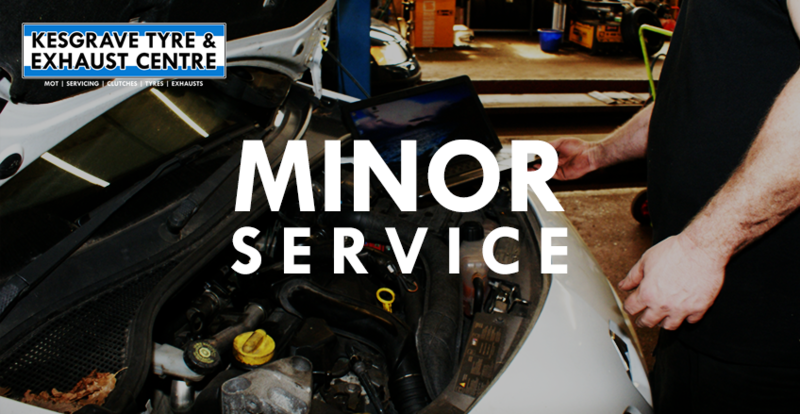 A service is invaluable when it comes to keeping your car running. 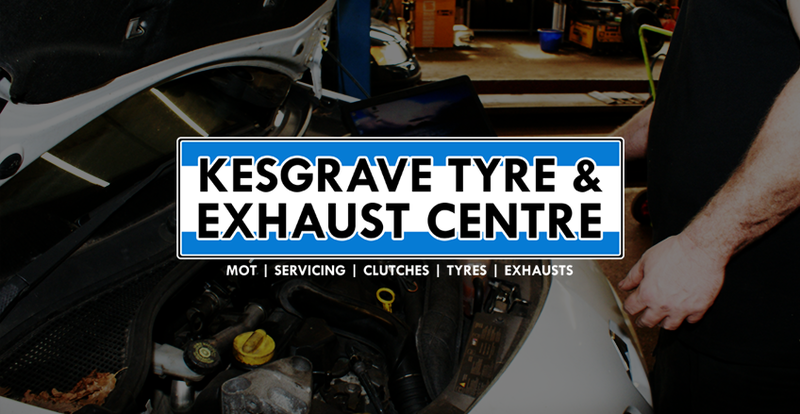 At Kesgrave Tyre & Exhaust Centre, we follow the industry standard checks and procedures as well as adding our own personal touch. We’ll examine your car as well as find out about how your car is used. Your annual mileage and the age of your car can determine the level of service we offer. We’ll make sure any synthetic oil is used if you need it and we’ll always stamp your service handbook to keep you up to date. This also makes sure that your warranty is preserved too! As a reminder, your service price only includes the service itself (plus our added attention to detail) but any repairs will be extra. However, if we do find a problem, we’ll contact you immediately with our recommendations before adding any additional costs to your bill.